Vilole Images Productions invites local and International filmmakers to submit documentaries, short films and full-length feature film to the View Special Images Film Festival. To be held from 02nd till 10th March 2012 in Livingstone the tourist capital of Zambia, the festival will run for 09 days with various activities that include screening of movies including in the communities, forums, workshops etc and conclude with a gala night. 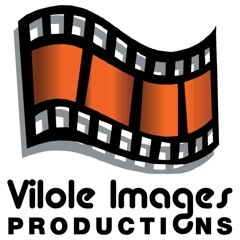 Vilole Images Productions (VIP) is an Independent Production House that was legally registered in 2003 as a limited by grantee to pursue a focused vision of contributing to the development of the Zambian Film Industry with a long term vision of setting a film and television school. In 2006 VIP founded the International Film Festival of Zambia (IFFoZ) that was held in September along Peace Day in Lusaka. In the past the festival has seen international filmmakers come for the festival. However after the festival the guests desire to fly to Livingstone to see the Victoria Falls and other tourist sites. With such a background, VIP decided to move the film festival to Livingstone under the new name VSIFF, with a focus on appreciating and celebrating products for/by women and women with disabilities to promote integration of disability in the mainstream. Vilole Images Production has chosen to embrace women with disabilities through the audio-visual images after noting how these women are left behind in most national and community development activities. Based in Livingstone, the VSIFF will be a unique and special festival that will continue to embraces Gender, HIV and AIDS, Disability, vulnerably kids/youths and Environment. Each year the festival will have a special theme, screen and award deserving films. The aim of VSIFF is to provide a platform for skills and knowledge enhancement, development and promotion of the film and television industry through training workshops throughout the year and hosting of a film festival each year that will screen products with various themes that contribute towards social change and improve livelihoods. The intension is to use the festival to build new relationships to enable producers buy, sell and promote their products and exchange ideas/information on an international scale but in an African context. It is also an intension to promote the use of video/film as a tool to highlight issues on women and women with disabilities, promote Livingstone the tourist capital of Zambia, development and trade in film and television products in Africa, thus creating employment and contribute towards eradicating poverty in Zambia. The main emphasis is to mainstream Disability and Women in filmmaking, therefore, the festival is scheduled around the International Women’s day. Being a tourist capital there will be an opportunities to visit the Victoria Fall, game parks, walks with lions and other beautiful Zambian tourist site alongside screenings, conferences and workshops. You just have to be there and see for yourself! For Filmmakers, who have produced any films under the themes ‘I AM EVERY WOMAN-I am Confident, I Listen and Speak out and I embrace other women’ of any genre, (Documentaries, Short films, feature films) from all over the world are invited to submissions. Films should have all good production and entertainment values. Submission of products should be DVD PAL only with the requested package. Uncompleted packages and late entries will not be accepted. Deadline for entry is 15th December, 2011. The Film may be entered for competition or out of competition. They should be produced within the last 10years. Films submitted into the competition will be adjudicated by a jury/juries selected by the festival and the decision by the jury is final. The audience also has the privilege to award a feature film of their choice. Movies from all over the world are welcome to enter for screening, but only movies from Africa are legible to enter for competition. Please mark your package, ‘NCV-No Commercial Value-Film Festival Entry’, so we do not incur duties and taxes when the package is brought into Zambia. The View Special Images Film Festival will take place from 02th – 10th March 2012. The Videos produced within the framework of the last 10 years and embrace social-economic motivation under the theme ‘I AM EVERY WOMAN-I am Confident, I Listen and Speak out, I embrace other women’ are eligible to enter the festival. •	Feature films, shorts and documentaries of any length, which satisfy the following conditions, are eligible. •	There is no charge for submitting videos. The Festival organization must receive the completed and signed entry form together with a DVD before the 15th December, 2012. •	All such expenses to and from the festival for the DVDs are to be paid by the entrants as well as other expenses incurred, such as insurance etc. •	Those who request return of the DVDs will be asked to make agreements with the festival organizers on how to cover for postal expenses. •	Use three minutes of the video for publicity broadcasting purposes on national, international or their website. The deadline for arrival of the DVDs in Lusaka, Zambia is 15th December, 2011. Please also send a dispatch note to the festival by airmail, fax or e-mail, indicating the date of shipment. It must accompany the DVD stating the name of the sender, title of the film, duration, whether it’s in color or black & white and any information that is important. •	We take responsibility for transportation door to door of screening copies. In case of damaging of product during the festival, the festival will only take responsibility only after approved technical report on the damages and received invoice. Entry and participation of DVDs means one has accepted our regulations. The festival management will make a final decision on entries. I certify that I understand the Festival’s regulations and all conditions and therefore, my consent the festival management and staff permission to screen my film at the festival and only during the festival and within two weeks after the festival.